When a driver is arrested for DWI in New Jersey, one of the most common questions is whether an acquittal can be won at trial. Another question that is often asked is whether a plea bargain is possible. The simple answer regarding a plea bargain is no. 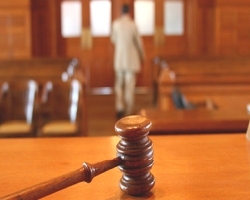 New Jersey does not offer plea bargains in DWI cases. However, that doesn’t mean that there aren’t ways in which the prosecutor can legally drop or reduce the charges in a different way. The obvious question then centers around which is preferable between going to trial or trying to find a way to have the charges reduced. When a law enforcement officer makes a traffic stop for a NJ driver or a visiting out of state driver, it must be justified. That means the officer can’t stop a vehicle and investigate just because he or she feels like it. If the vehicle does something to warrant the stop such as running through a stop sign, illegal passing or nearly causing an accident, then the officer can investigate. When the officer speaks to the driver, signals of intoxication will be watched for. These can include slurring words, exhibiting glassy eyes and smelling of alcohol. Obviously an open container of alcohol will be an obvious piece of evidence. If the driver shows signs of being drunk, the officer will begin field sobriety tests. The Walk and Turn test, the One-Leg Stand test and the Horizontal Gaze Nystagmus test are all designed to give the officer an idea as to whether the driver is impaired. Then there will be a breath test. The breath test is used to determine how much alcohol is in the driver’s system. If the blood alcohol content for a driver over the age of 21 is 0.08% or above, there will be an arrest for DWI. For a driver under the age of 21, the BAC for an arrest is 0.01%. For a commercial driver, the level is 0.04%. If the BAC levels are higher or there have been previous DWI arrests, the penalties will be much more harsh than for a first offense. Other factors, such as the infraction being committed in a school zone or if there is an accident with injuries, will make the penalties even worse. For a first offense DWI with a BAC of 0.08% and below 0.10%, the driver will be confronted with the following penalties: there will be a driver’s license suspension for three months; there might be up to 30 days in jail; there will be a fine of $250 to $400; $1,000 per year in surcharges will be paid for three years; $230 will go to the Intoxicated Driver Resource Center (IDRC); $100 each will go to the Alcohol Education and Rehabilitation Fund (AERF) and the drunk driving fund; and $75 will go to the Neighborhood Services Fund. In short, it behooves a driver to do whatever is possible to gain an acquittal, reduce the charges or have them dismissed. As stated earlier, there are no plea bargains or an option for pre-trial program for the traffic offense of DWI. However, the prosecutor has a certain amount of leeway to reduce the charges if such a decision is possible. A way in which the prosecutor can navigate around the inability to plea bargain is to reduce the charges based on legal issues. For this to happen, there must be a legal issue hindering the prosecution’s ability to prove a DWI or a problem with the evidence. With that, the charges can be downgraded or dismissed without a plea bargain. If, for example, the officer who made the arrest didn’t have a justifiable reason for doing so, didn’t wait the required 20 minutes of observation time before giving the breath test or made some other error, the prosecutor might have a hard time proving the case. It would be a waste of time if the defense attorney is able to prove that there was a gaffe in the procedure when the arrest was made because the case will very possibly end with an acquittal. In such an instance, it might be better for a defendant to go to trial to have the case wiped out completely. In other circumstances, when there is still a possibility of the charges being on the driver’s record, it is preferable to take the offer of reduced charges and move on without the risk of the more substantial charges ending in a conviction. When a prosecutor decides to pursue a reduction of charges, it must be placed into the record and signed off on by the Municipal Court Judge overseeing the case. There are certain relevant questions that will help determine whether the reduction or dismissal of charges will be okayed. The resolution of the case must be detailed. The legal reasoning for the decision must be provided. The arresting officer must be aware of the reduction or dismissal of the charges.